Tramadol detox is another version of rapid detox which has been applied for decades. If you are going through opiate withdrawal in a drug detox clinic, medications may be used to help make the process safer and more comfortable for you. Some detox facilities prefer to use substitute opioid drugs to help you withdraw from the drug you are addicted to. The introduction of another opioid that will also act on the opioid receptors in the brain can help to minimize the impact of withdrawal, often preventing most of the symptoms from occurring. While the drug you are addicted to, like heroin, is withdrawn, the other opioid is introduced. Once you are free from the original drug, methadone for example, the substitute can then be gradually reduced before a dependence to that occurs. This process takes four to seven days if you were addicted to heroin or eight to 14 days in case of methadone addiction. 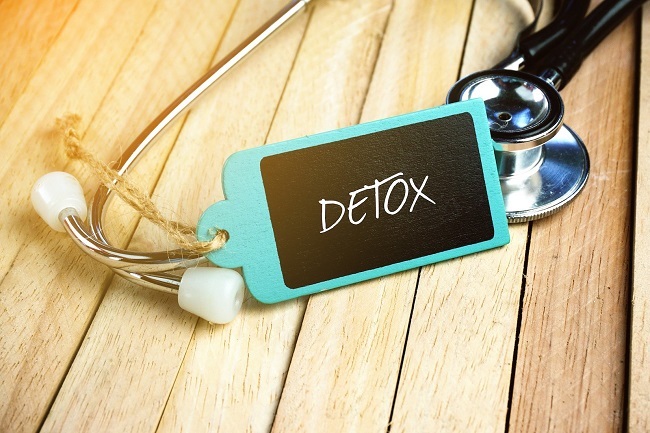 The detox length often depends on doses, duration of intake and other factors. Tramadol is an opioid receptors agonist/antagonist. Tramadol reduction along with individual pharmacotherapy is a prevention of “cold turkey” syndrome. Tramadol allows a comfortable, short term detoxification, spanning within four to five days (rarely longer, usually when patient wants to start with Naltrexone maintenance). Tramadol acts as a weak opioid agonist, meaning that it activates the opioid receptors in the brain, but on a much smaller level than other opioids. Individuals who are moderately opioid-dependent find greater success rates with Tramadol when it comes to heroin or methadone detox and preventing relapse. Overall, it seems like Tramadol is the best medication-assisted treatment for withdrawal and opiate detox. Strong opioid painkillers like Tramadol relieve pain by mimicking the action of naturally occurring pain-reducing chemicals called endorphins. Endorphins are found in the brain and spinal cord and reduce pain by combining with opioid receptors. Tramadol mimicks the action of our natural endorphins by combining with the same opioid receptors in the brain and spinal cord. This blocks the transmission of pain signals sent by the nerves to the brain and means that even though the cause of the pain may remain, less pain is actually felt. Tramadol also enhances the activity of certain neurotransmitters in the brain and spinal cord. Neurotransmitters are chemical compounds that act as messengers between the nerve cells. Tramadol enhances the effect of the neurotransmitters serotonin and noradrenaline, and this action also helps relieve pain. Addiction can be a problem when opioids like tramadol are used recreationally so it may only be used as a painkiller or in detox purposes at a medical facility under supervision of medical staff. If you need to take tramadol for long periods of time your body can become tolerant to it. It is also possible to become dependent on tramadol if you take it for a long time, but this is much less likely than with other opioids. It's not usually a problem when you stop taking it, because withdrawal symptoms can generally be avoided by reducing treatment gradually. It's important that you don't take a higher dose of tramadol than prescribed by your doctor, or take it for longer than they recommend. When stopping treatment always follow your doctor's instructions.